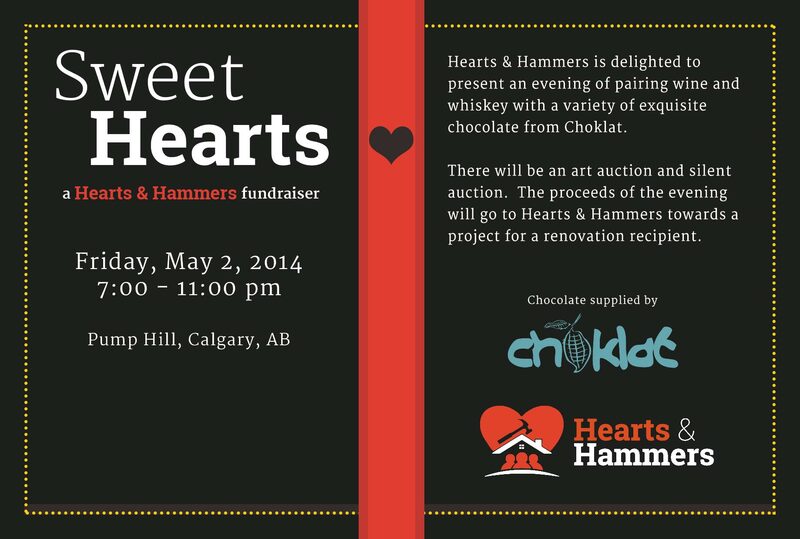 Hearts and Hammers is proud to announce Sweet Hearts, our first fundraiser of 2014. It will be taking place at the newly renovated Pump Hill luxury home of Dave Bonk, the chairman of Hearts and Hammers. We will be putting on an art auction, along with wine and whiskey tasting along with some chocolate treats from Chokolat in Inglewood. The proceeds from our event will be going towards Hearts and Hammers renovation projects in 2014. We would like to extend a special thank you to our title sponsors, Nu Automations, Hunter Tristan Design, Marvel Cabinetry, Deb Windle of Royal LePage Solutions, and Kerry Hunter of Property Solutions, along with our supporting sponsor FMF Heating and Cooling.